In the current economic setting, many organizations may need to reduce their workforce to cut short their labor expenses or may decide to prune the under-performing employees. For the managers, the most stressful task can be the firing of employees. Besides the emotional feeling and torture, some legal procedures must be followed. But for the legal purpose, it is beneficial to run a mutual separation agreement in writing for the demonstration of the common will of the parties and legal purposes with issuance of a termination letter. A voluntary employment termination letter is basically a resignation letter. Here, an employee resigns from his or her job. Resignations of this kind appear due to the following reasons; a new job, a spouse’s acceptance of a brand new job in a distant vicinity or transfers, returning to school, or retirement. Voluntary termination might also arise with optimistic explanations such as worker not getting along with his boss. This document which is in most cases addressed to the Human Resource officer or manager is drafted and signed by the employee entirely stating his/her intention of leaving work. In a resignation letter, it’s optional to state your reasons for termination of work but it’s always advisable to include it. In the case of an involuntary termination, the employee must be supplied with notice of the termination in writing. 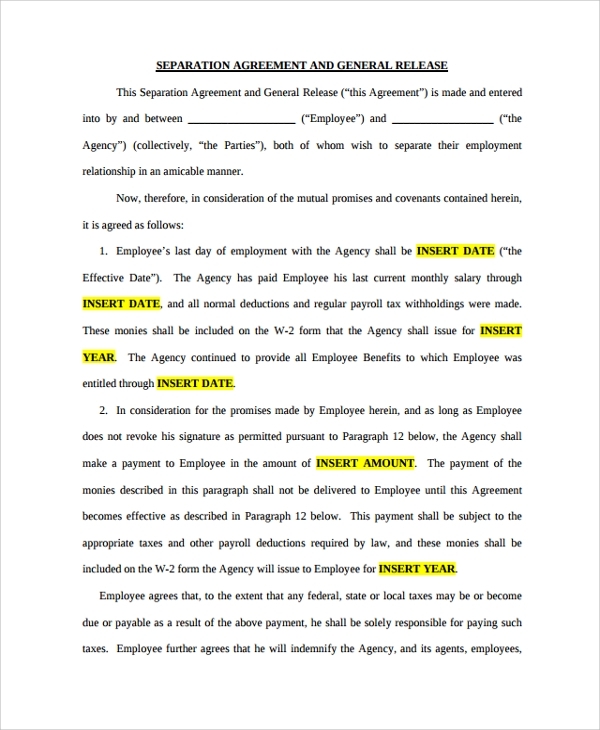 The general rule is that employers can terminate the employment relationship as long as they are willing to provide the following to the employee; the separation date which is the last date of the employee in the work, the final amount payment of wages, not forgetting any benefits that should and was entitled to the employee. Also, the returns of the properties to show that the employee has cleared with the employer. The employee must be given the severance benefit which is also known as the separation benefits. 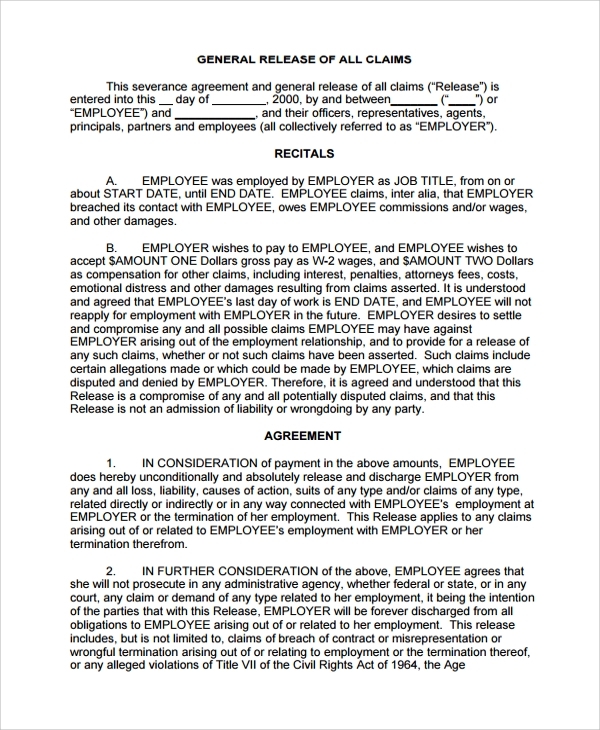 Lastly, the release and waiver claim must be included in the employment separation agreement. 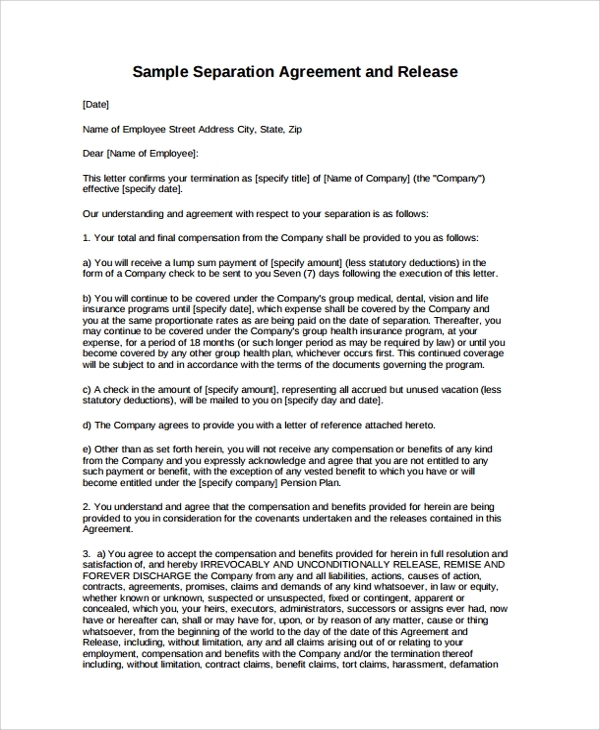 This is a strict and purely confidential document addressed to the worker from the employer. 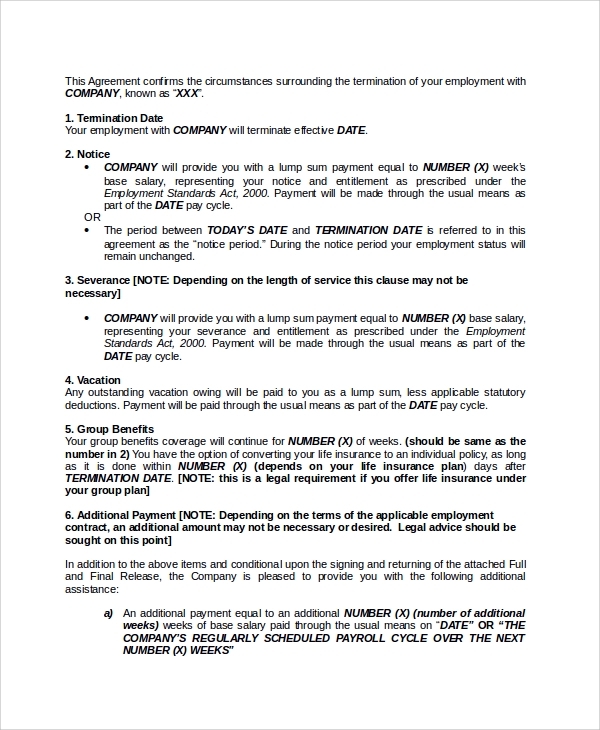 It is a notification from the employer informing the worker of their termination from work stating reasons to do so. It also includes details of payments and any extra incentives the company may wish you to have. 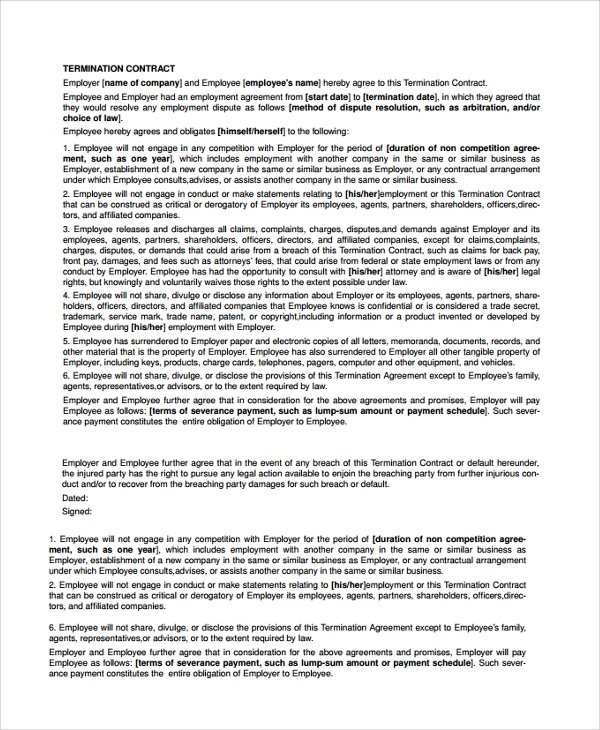 This form stipulates any further rights to the worker in regards to the company. 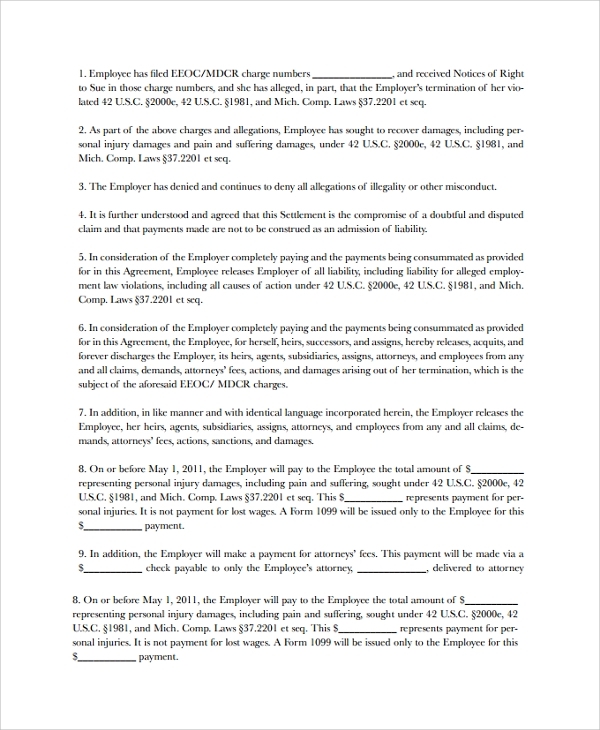 At the end, the worker has to sign to acknowledge having agreed and complied with the stipulated terms. What are the Advantages of Employment Termination Agreement Implementation in an organization or Business? Job security. Due to the legal procedure of employment termination, employers can’t fire an employee without any enough reason. Establish and maintain a good relationship between the employer and the employee. 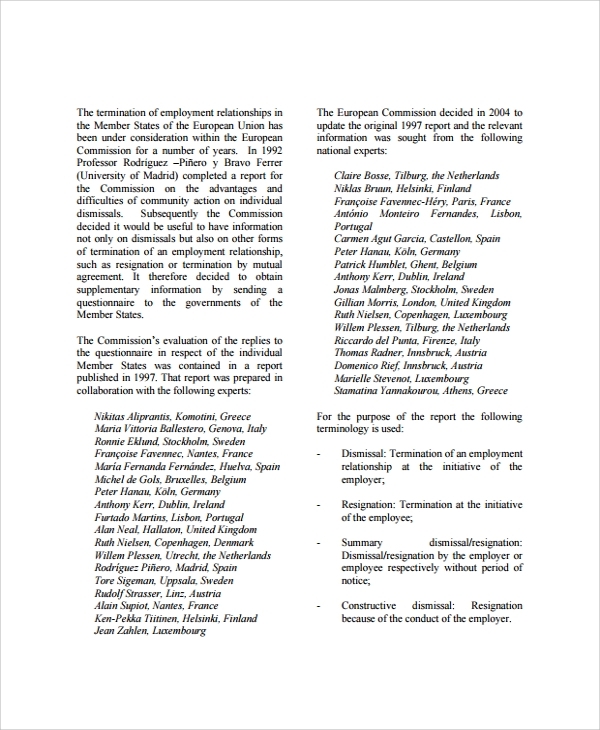 The termination agreement forester good rapport between the two parties. 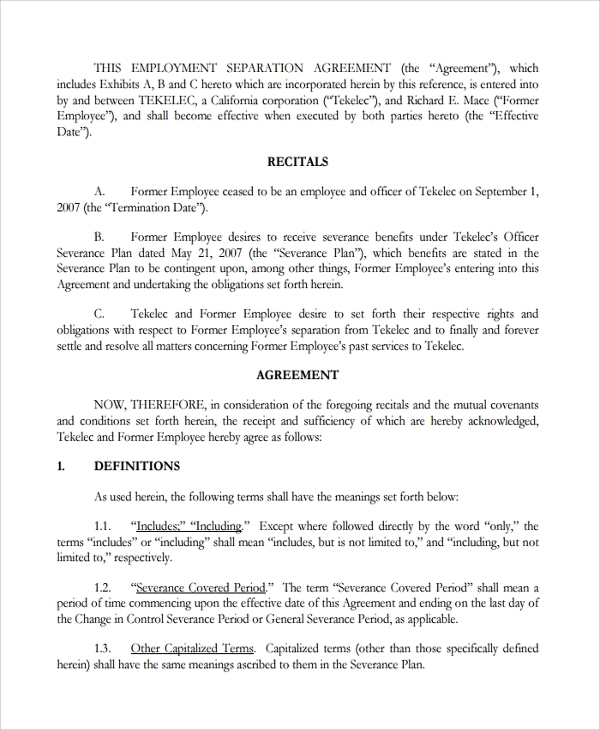 To all employers and employees, consider applying our readily available and customizable employment termination agreement templates. Our templates are affordable, cross-browser friendly, compatible with older versions and easy to use.